Following the flooding of last year most of our time, energy and money has gone into protecting our stream sides from further erosion, which appears to have accelerated since the flood. The process involves fencing off the streams from stock and planting lots and lots of trees, shrubs, flax and native grasses. All of that work means I have spent hardly anytime in the annual gardens, except getting all of the garlic in before the end of July. We sold out last year and have about 2,000 in the ground this year. We are establishing new beds on an ongoing basis – converting an old horse property to annuals production is not easy. Somehow a few months ago I quickly put some broccoli and cauliflower in the ground. It has thrived in the cool weather with heaps of great compost. Now we are reaping the benefits. This is my favourite variety – Marathon. As per my tradition, I also planted Early Girl tomatoes on the 21 of September to ensure ripe tomatoes before Christmas. Can’t wait. These have been interplanted with garlic as a space-saving staggered planting technique. Just this week the peach stones have started germinating. They have been in damp sand for about 4 months. We expect around 100 to germinate. Here is an example of a yearling Black Boy peach trees, which are selling nicely at the moment. We sold out last year and expect to sell out again this year. These were a great surprise this morning. In the years to come we hope to branch out into organic strawberries. And these two arrived last week. Never a dull moment and never a lack of jobs to do. I’ve been growing garlic organically for well over a decade. The product is second to none. We have marketed it as “The World’s Best Garlic” for the last five years. Nobody has disputed the claim. There are a few essentials of growing great garlic. First of all, you need the best genetics – ie, seed garlic. We save ours from season to season. After storing for six months, we divide it in the evenings inside where it is warm and dry. Another essential component is abundant high quality compost. We make ours by the cubic metre. Planting involves generous amounts of compost. It serves to feed the garlic for the six months while it is in the ground as well as retaining soil moisture. Once the garlic is up about 150 – 200 mm we mulch with newspaper and hay. The mulch suppresses weeds and retains soil moisture. Harvest usually occurs in late December. The garlic is cured and stored…and the cycle repeats. We have a very limited supply of seed garlic left for sale. It can be planted up to the end of July. Contact me if you’d like some. Converting pasture or lawn to annual beds is never easy. The most critical element is to eliminate perennial weeds. The importance of this cannot be overstated, and is lost on ‘Facebook permaculturists’. But any market gardener knows this. We do our conversions without the use of a rotary hoe/rototiller. It takes time but the end result is far superior. First step, kill off most existing plant life. We use plastic for four months. …and removing any leftover plants. Forking is very important because it decompresses and aerates the compacted soil. Again, it’s difficult to understate the importance of this process. A broad fork can be purchased in New Zealand for around $300. We made our stainless steel broad forks for $100 each. All ready to plant 2,000+ garlic over the next three weeks. 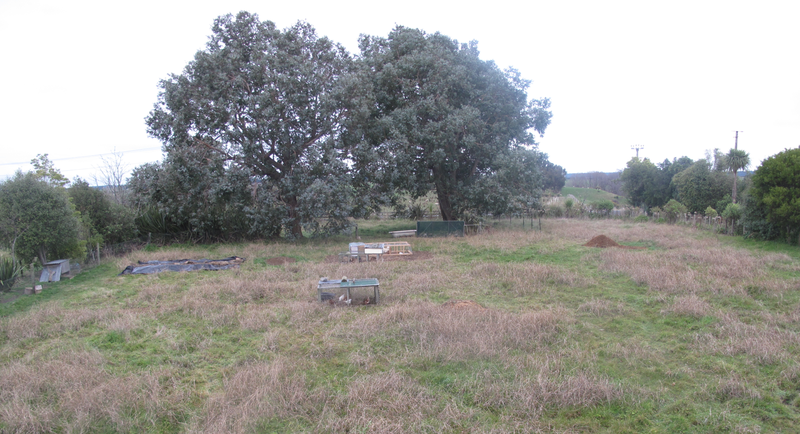 One year after arriving on this piece of land we are well on our way to developing a premier permaculture property. Like our model suburban permaculture project – the Eco-Thrifty Renovation – we intend to use this as a model for resilience education in our community and worldwide. We call this property Kaitiaki Farm. In Te Reo Maori, kaitiaki means guardian. It is the weightiest word I have ever come across in my life, and I do not take using it to name the farm lightly. If our first child had been a boy, Kaitiaki would have been his middle name. This extraordinary piece of land has all the makings of a textbook permaculture property and an excellent way to teach best practice in low-input / high productivity land management. It is also a great opportunity for those who want to learn by seeing a ‘work in progress’, I reckon there may be no better place in the world. From big concept ideas to specific details, Kaitiaki Farm is a living, breathing permaculture textbook. 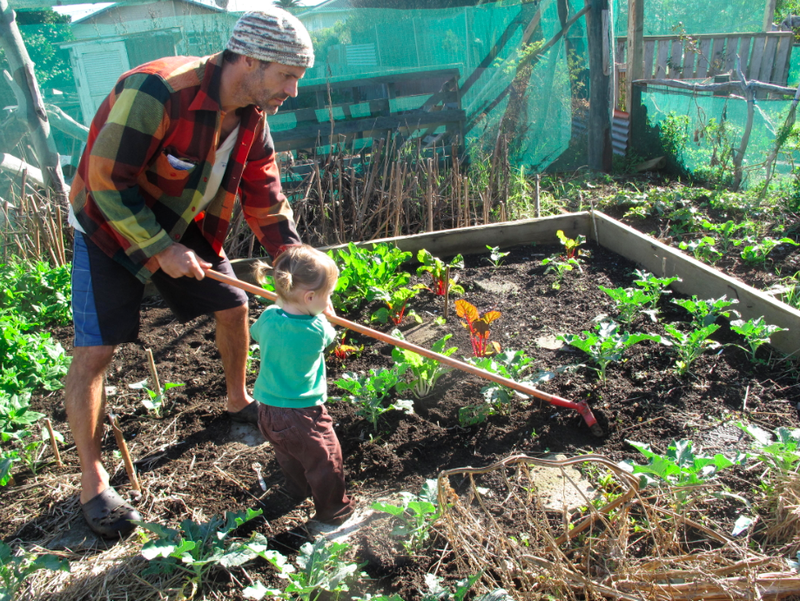 Most of us learn by doing, so why not consider coming along to the Whanganui Permaculture Weekend 12th-13th September (more details to follow) or coming to a full-day workshop on Sunday, 27th September. We believe in offering the highest quality resilience education and that money should not be a barrier to attendance. The Permaculture Weekend is free to attend, and all of our workshops run at half what others charge. When it comes to excellence in community resilience education, there should be no compromise. The workshop will cover many aspects of permaculture, including: designing for wind and water; tractoring birds; improving soil structure; composting; swales and drains; nurse trees; slope stabilisation; trees as fodder; pollarding firewood; alley cropping; drought-proofing; market gardening; developing and managing a food forest; scything; and more. When it comes to housing and garlic, good design is more important than hard work. In both cases, the core decisions that ensure quality can be counted on one hand. Everything else are details. In the case of housing, we can look around the world and observe examples of low energy and high performance homes. For the most part, the design principles are universal with the exception of the tropics where important tweeks must be made compared to other regions. For example, the main goal of good tropical house design is passive cooling that relies on cross ventilation. From this perspective, homes should be rectangular with the long axis running north-south to catch breezes. For almost all other locations around the planet a home should be rectangular with the long axis running east-west to catch the winter sun and exclude the summer sun. In all cases the basic design objective is a passive structure that heats and cools itself as much as possible using natural energy flows. Beyond passive design, another wise choice to make with housing is to place fixed heaters on internal walls rather than external walls. 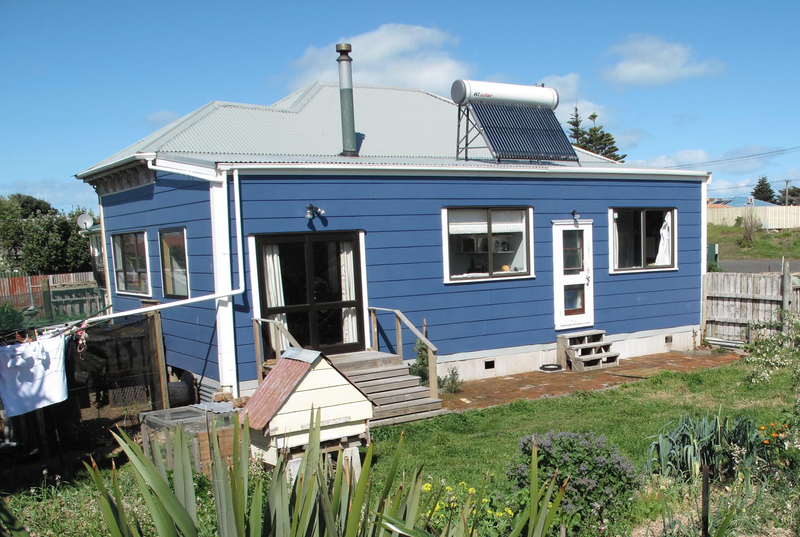 Placing a heater close to the centre of a home and surrounding it by living spaces would appear to be common sense until you take a trip around Whanganui and see the preponderance of chimneys built on one extreme end of long rectangular and L-shaped homes. It appears there was an era in our city where both common sense and good design were sorely lacking when it came to home building. Some would argue it continues. Fixing bad design is more expensive than engaging good design from the start, but the good news is that in Whanganui it is far more affordable to buy an existing home and do it up rather than build a new home. For example, our renovated villa ticks the boxes for good design for less than half the cost of building new. Similarly, growing great garlic can be more a matter of good design than hard work. Again, the principles can be listed on one hand: good seed; great compost; plenty of moisture; minimal weed competition. Like racehorses and livestock, genetics matter with garlic. Buying high quality seed garlic is the best place to start. I was in a big box discount store recently and noticed the so-called “Garlic Seed” they were selling and had to stifle laughter at both its size and price. The best seed garlic is local and organic. Compost provides multiple benefits to garlic while it is growing, including feeding, moisture retention, and microbial activity. High quality living compost is always better than a sealed 40-litre bag that probably lacks helpful aerobic soil organisms. Garlic, like all alliums, grows better with more moisture. A combination of generous compost and heavy mulch can ensure soil moisture remains high even trough extended period without rain. Mulch also doubles as a weed suppressant and encourages worms to be active closer to the soil surface. 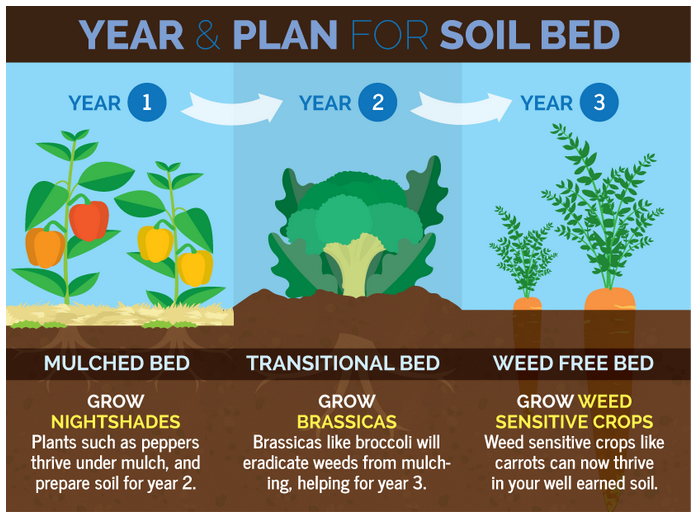 Fix.com contracted me to write an article on crop rotation. I suggested a four-year rotation, but they thought three years would be easier for beginner gardeners to understand. With the word limit I was working to, this is the best I could do, although the editors added sections on nutrient cycling and carbon cycling. 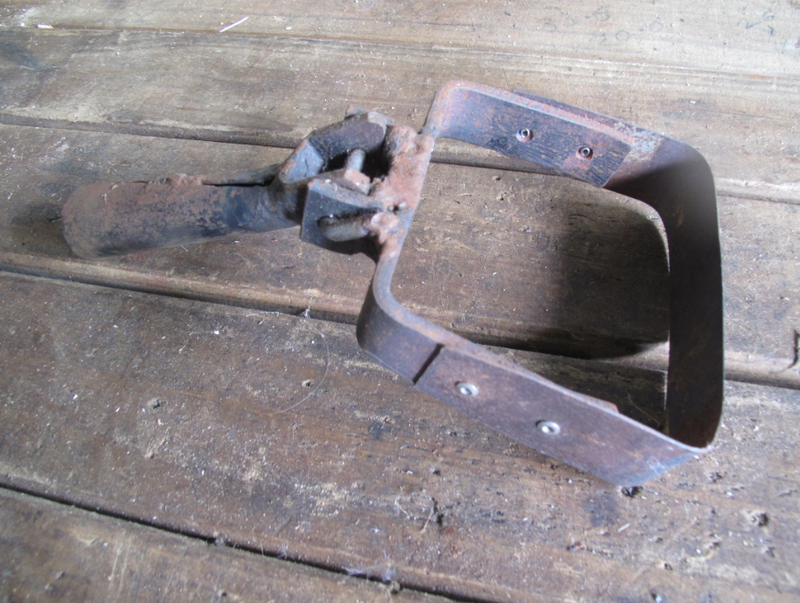 FYI, here is what a stirrup hoe looks like. I am impressed by the number of families in our region that are embracing permaculture landscape design and management. I have been out and about across the city and around the region advising couples who live on small sections, large sections and lifestyle blocks. If busy is the new black, then call me midnight. But I’m not complaining. What a pleasure it is to share my experience and enthusiasm for eco-design with a wide range of people who see the clear benefits of low-input / high performance systems. During a consultation the first things I ask are: What is your vision? What are your motivations? Last weekend I was working with a lovely couple on their lifestyle block and they said one of their motivations was to “work smarter, not harder.” As a former market gardener, that phrase runs through my head like mantra. When I am working my land it is an automatic way of operating. How else can I get 12 hours of chores done in 8 hours? In my opinion, the key to working smarter is good design, and the best designs are holistic and four-dimensional. (Time is the fourth dimension.) For a market gardener, four-dimensional design conjures up another mantra: tools, timing, technique. In other words, using the right tool at the right time in the right way. For example, I would never use a pitchfork to turn a large compost heap – way too much work! Ironically, the best tool for low-effort / high production vege gardening is essentially unknown in New Zealand. 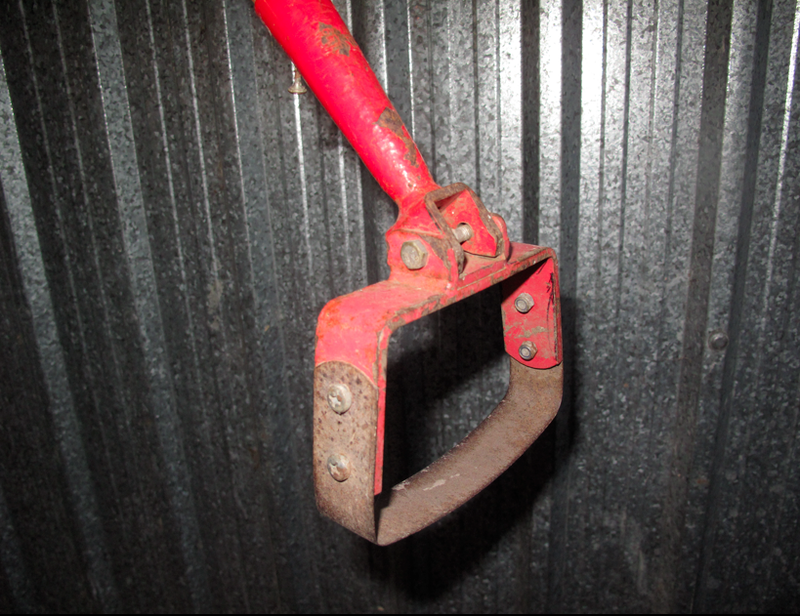 It is the best tool you have never heard of: the stirrup hoe. I have been using stirrup hoes for over a decade. 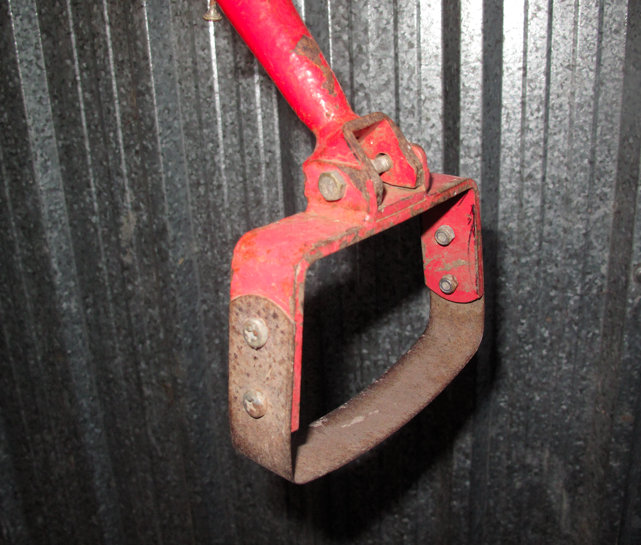 When it comes to managing my annual vege gardens I use the stirrup hoe for roughly 80 percent of my entire tool use. In other words, when I pick up a tool, four times out of five it is a stirrup hoe, and the other time it is any other tool in the shed. This dominance is akin to the All Blacks who have held the world number one ranking for over 80% of the time and all other nations combined have held it for less than 20%. 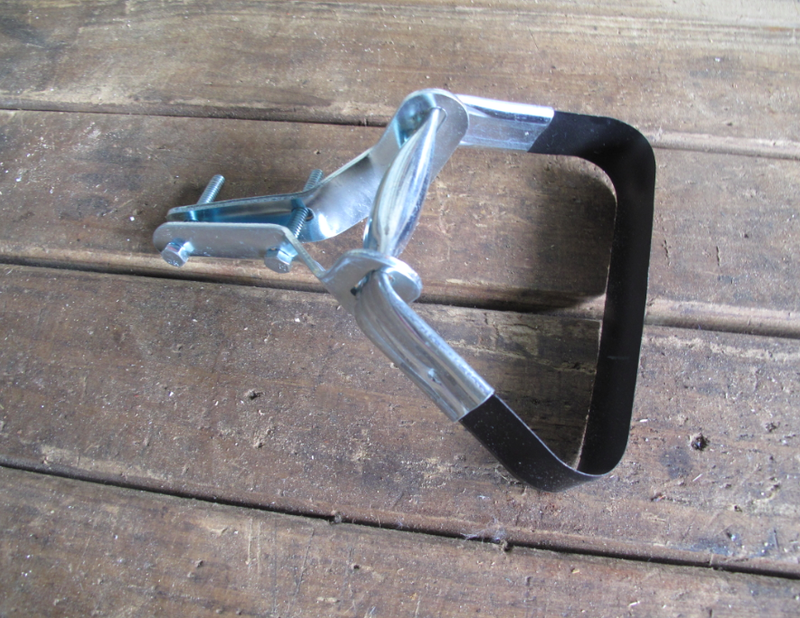 So why haven’t you heard of the stirrup hoe? Probably spending too much time weeding your garden! Like a torpedo hoe or Dutch hoe, it is a surface weeder with the advantage that the leading edge always digs into the soil because it pivots between pushing and pulling. This back-and-forth motion accounts for its other name: the oscillating hoe. Gently working the soil surface back and forth uproots tiny weeds as soon as they germinate. The sun and wind desiccate them within hours and they simply remain on the surface until they decompose back into the earth. Ninety-nine percent of my weeding is done without ever bending over. As you can imply from the description above, the technique involved is gently working the soil surface – 10 to 15 mm deep only. The tool is held with the lightest of touch between your hands. It reminds me of my childhood when I spent spring afternoons raking the long jump sand pit for my father who was a track coach. After about six weeks the soil surface is essentially devoid of weed seeds. That’s when another tool comes in handy: a bottle opener. Sit back, relax and enjoy a cool drink as you admire the immaculate vege garden. That’s working smarter!